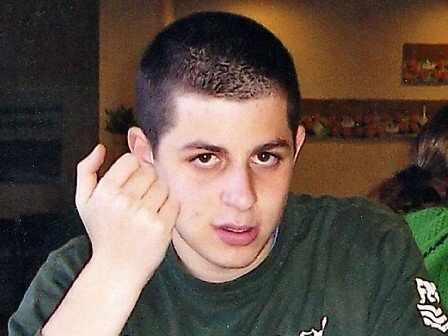 I was aggravated when somebody suggested that Hamas showed an act of moderation when they demanded that 1027 criminals be released before granting Gilad Schalit his inalienable rights of life and liberty. Hamas abused the system openly. But Fatah is, in a sense, even worse. At least you know where you stand with Hamas. Fatah is in a constant game of subterfuge when they speak and only admit the truth when they believe the press is not listening. "President Abbas just stood here, and he said that the core of the Israeli-Palestinian conflict is the settlements. Well, that's odd. Our conflict has been raging for -- was raging for nearly half a century before there was a single Israeli settlement in the West Bank. So if what President Abbas is saying was true, then the -- I guess that the settlements he's talking about are Tel Aviv, Haifa, Jaffa, Be'er Sheva. Maybe that's what he meant the other day when he said that Israel has been occupying Palestinian land for 63 years. He didn't say from 1967; he said from 1948. I hope somebody will bother to ask him this question because it illustrates a simple truth: The core of the conflict is not the settlements. The settlements are a result of the conflict." Former President Bill Clinton said that there has been no one more ready to speak peace than Abbas among the Palestinian Arabs. Which illustrates my point that if this foot dragging, obfuscating Abbas who flees from sincerity in negotiations is the very best of the leaders of the Palestinian Arabs, then there is no hope for a negotiated settlement with the Palestinian Arab people. Unilateral Israeli actions are the only option that remain. I have advocated that the next action should be naturalizing the non terrorists among the Palestinian Arabs, while bringing the terrorists to justice. PM Netanyahu's only error was to say that there will not be peace if he cannot sit down and negotiate with Abbas. That is not true. There actually cannot be peace so as long as Israel continues to believe that negotiations with terrorists can lead to peace. The main role that Abbas now serves is to be the one who slanders his Israeli benefactors before the world stage. How does that advance peace? How does that increase security? Israel has legitimate claims to all of the land that the Palestinians reside on and those claims would have to be forsaken by Israel for the Palestinians to gain a legal claim to the land. Without facing that truth, there can be no justice. Remember that for a case of questionable rights, the PLO has claimed an absolute right of blood vengeance against those who disagree with them. The onus has been on the Palestinian Authority to prove it can live among civilized nations. Not merely corruptly run an economy, nor insincerely manipulate the world press. Perhaps that is enough for some of their less than righteous third world friends at the U.N., but that is not what civilized nations do. God has allowed history itself to ask of the leaders of the Palestinian Arabs of Judea, Samaria and Gaza, could they, in the course of 18 years of negotiations, stop killing people for even one year? ...They have failed that test. Because peace depends on truth and justice, Abbas will never find it. And President Clinton said that Abbas is the best that the Palestinian Authority has to offer. So that even if you were to hold elections today, there is no reasonable expectation that there will be anything but a worsening of the possibility for a negotiated settlement. This is why PM Netanyahu seeks international pressure on Abbas to be flexible. What other hope is there? But this is not the cure to the disease, this is that very thing which sustains the malady. Every day that Israel tries to negotiate rather than dismantle the terrorist infrastructures, they are putting their own citizens in jeopardy; on a daily basis. For what? And if Abbas is the best and the best is not sincere about a negotiated settlement, then what does that mean?! So long as the Palestinian Authority exists. Peace will not. How ironic that the radicalization of the Egyptian government led to an act of chesed/kindness as negotiators, that aided in the safe return of Gilad Schalit, albeit for sinister intent. Egypt, without the moderate Mubarak, desires to strengthen Hamas over Fatah, and they got their way with the release of key Hamas operatives from Israeli jail cells. Another victory for radicals was also scored when Hamas won a PR victory at America's expense. They placed an onus on the Obama Administration to explain the delayed release of the physically ill Jonathan Pollard or appear more cruel than Hamas was to Schalit. Hamas perhaps hope to seem more reasonable and diplomatic than the USA, even though the USA is the pinnacle of Western Civilization, and Hamas is merely a terrorist organization. It may deflate the wind in Hamas' sails if Pollard were to be released soon, so if for no other reason, perhaps it's time to expedite Pollard's release to improve America's foreign standing. 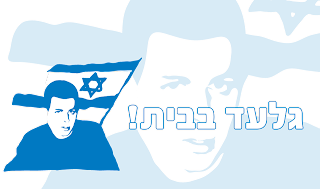 Before Gilad's release, I began to write an appeal to members of the Israeli government to not transfer the 1027 terrorists to Hamas for Gilad Schalit's safe release, but I reconsidered and did not publish it. As the Talmud says, In the same way that it is a Mitzvah to say something that will be listened to, it is also a Mitzvah not to say something that will not be listened to. (Yevamos 65b) The time was not right for a reminder of how bad it is to refuel Hamas. But as the great relief of Gilad being home sinks in, the great danger the government risked will sink in as well. When emotions no longer rule policy, lawmakers will face the need to do something to avoid this from ever happening again. At that point, I could present my philosophic position of national security before nobility without seeming callous to the plight of Gilad Schalit, nor to the emotional sensibilities of those who prayed for him, and I was one of them. Repeat after me, "it is wrong to release unrepentant murders out onto the streets for any reason." You want to get someone from the clutches of a group of terrorists? King David attacked kidnappers (I Samuel 30), he did not negotiate with them. Have a SWAT team ready to go behind enemy lines, if necessary. Then declare a shoot on sight order against all terrorists in the targeted zone/neighborhood while also offering freedom from death and even amnesty of any form of prosecution of those suspects who protect the hostage. This will allow a reasonable chance that the hostage would survive such a paramilitary operation. But how to avoid needing such emergency measures? I suggest two simultaneous pieces of legislation. Instituting a death penalty for terror attacks, and passing a law forbidding future prisoner exchanges involving terrorists could be the preventative measures that Israel needs. If the Knesset only passes a death penalty against future acts of terrorism, it would not change the fact that Israel has over 5000 Palestinians in her jails, prodding Palestinians to attempt another kidnapping, God forbid. If the Knesset only passes a prohibition on prisoner exchanges, in the face of the disproportionate nature of the current capitulation to terror (albeit for the noblest of reasons), Palestinians could assume that such a law prohibiting exchanges could be repealed in the face of a new peak in national emotions. Only by passing both measures at the same time, could a mere change of law help prevent future kidnappings of Israelis. For then it would be clear that a new day had dawned in the State of Israel. May it soon be so, by the grace of God. Baruch HaShem/Thank God, that Gilad is back home at last, and it is sure a relief to have him safe again. For the sake of the national psyche, it is good to zone out from all the politics of the matter and enjoy the formerly endangered lost soldier's redemptive return home to safety. This festival of Sukkos/Sukkot/Tabernacles is called "yom simchasaynu / day of our joy", so let us allow it to be so and let's consider the implications of this trade with Hamas on another day. Today would have been his 1941st day in armed captivity, but HaShem/God had other plans. The Knesset must no longer consider any peace plan that prevents the IDF from protecting Israeli citizens. If one hopes that the terrorist leaders of the Palestinian Arabs will change their spots anytime soon, then he or she are on a path towards disappointment. The sooner the Palestinian Authority is not merely rebuked, but disbanded entirely, the sooner true peace will have a chance to flourish in the Middle East. Likud members of parliament have been discussing giving slightly less land than Labor or Kadima would, but apparently they have indicated that they still plan to give out strategically valuable land the moment Abbas would sign a "peace" deal. But the Knesset must no longer beg the Palestinian leadership to come to their senses and return to the negotiation table. They must not stand outside the U.N. waiting for a defeated, demoralized Abbas to now make nice and pretty please take more concessions from us. I join with the members of the Israeli Sovereignty over Judea and Samaria movement in calling for a change of intended policy by any and all members of the Knesset who are willing and able to speak these simple truths. I ask, further, that Gaza be taken back as well from the hands of the terroristic Hamas and restored as a peaceful land that people of all races and creeds are welcome to settle in. Gaza today is a depot for missiles. A point of aerial attack against the civilians of Southern Israel. It is a perpetual threat for soldier abductions, with one such abductee being held hostage even today. 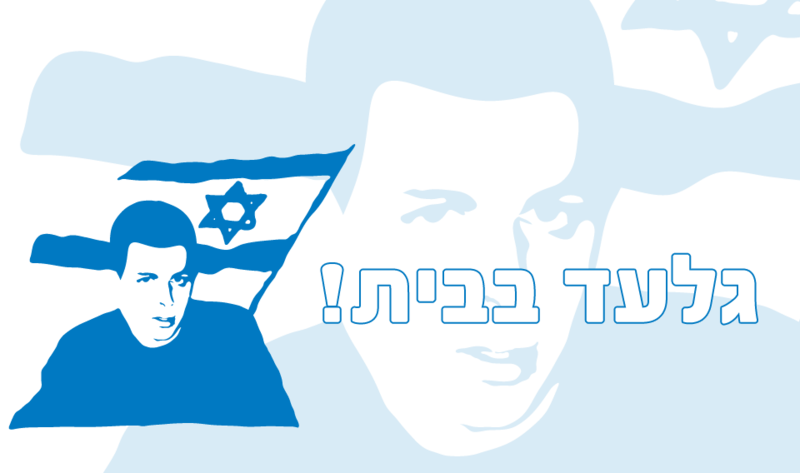 Today is Gilad Shalit's 1883rd day (over five years) under armed captivity. With Fatah's marriage to Hamas, it does not take a prophet nor a military expert to predict that this is where Judea and Samaria are headed, God forbid, if the Palestinian Authority is granted the freedom that Israel gave to Gaza, God forbid. Such freedom is anarchy and is not protected under International Law. You don't have to be a rabbi or a priest to know that such anarchy is against God's will as well. Let the members of Knesset speak the bold truth. The hope for political autonomy for the Palestinian Arab people West of the Jordan River has been slain by Palestinian Authority terror. Let the land and all peoples upon her rest from terror and share economic prosperity. Naturalize the Palestinian Arabs in Judea, Samaria and Gaza who forsake terror, in a gradual way that does not destroy the Israeli economy, infrastructure, nor political balance. Let all peoples unite under the democratic flag of the state of Israel. May it soon be so, by the grace of God. If you believe that Fatah is a suitable partner for peace, then it makes sense what the Knesset is currently trying to do. Plead with Fatah to negotiate and pressure them to not go unilateral at the United Nations. If you believe that Fatah is just in a mood and are behaving naughty, yet they can return from their current ways of trying to join Hamas into the Palestinian Authority, then current foreign policy may be justifiable. If you believe that sooner or later Fatah will come to their senses and be reasoned with, then the debate between PM Netanyahu and President Obama becomes understandable. Problem: What if Fatah is irredeemably passive toward terror? This is important. Unless Fatah is trustworthy, then everything we are hearing from every government in the world that discusses this is currently a misdirection. A discussion of the wrong topic entirely, not a true path to peace. If you believe that Fatah is not a true partner in peace, has not been a true partner in peace for a long time, and or that Fatah never was a true partner for peace, then you are frustrated with the political theater at play and are perhaps ready to consider an alternative, such as the Everyone Wins Peace Plan. The Everyone Wins Peace Plan calls for the removal of the Palestinian Authority from the peace process and the gradual naturalization of all West Bank and Gaza Arabs who eternally foreswear terrorism. If the moderate Fatah are not even potential partners for peace at some distant date in the future due to systemic corruption beyond hope of repair, then the question would no longer be 'How much to give to the Palestinian Authority?' Indeed, what can possibly be given to the Palestinian Authority with the dismal content and record of their leadership? Not even Gaza alone can be given to the Palestinian Authority. The question we face is, is the embrace of Hamas only a current policy of Fatah, or revelation of their true character? Liberty for the Palestinian Arab can only come once they abandon, and are enabled to abandon, the failed leadership that abandoned them long ago. For with the establishment of a faulty electoral system that allows votes for terror to count, a false veneer of legitimacy has been given to the Palestinian Authority when they are in fact rebels against their benefactors' investments and violators of their constituencies' trust and the main cause for strife in the Holy Land today. All of the efforts at peacemaking throughout the past 18 years have been turned into farcical theater by Abbas' unholy deal with Hamas. By walking away from the negotiation table, and tossing a grenade at it, the chaotic Hamas long ago abandoned their hopes of a legal claim to the Gaza Strip. By allowing a Hamas-Fatah unity government, with Hamas even this week pledging never to negotiate, the PA has essentially not only forsaken the path to peace, they have made counterfeit their claim to the West Bank and Gaza. Israeli President Shimon Peres said yesterday that the Palestinian Authority Made a “Fatal Mistake” when it made a unity deal between Fatah and Hamas. Fatah would be allowed to negotiate while Hamas would be sanctioned to simultaneously perform terror. Even though Peres just last week said : "We don't need more peace plans, we need to implement peace,"
But we see now, that continuing to base peacemaking upon the ashes of Peres' Oslo Accords, is the foundation of the current crisis. Israeli leaders such as National Infrastructures Minister Uzi Landau and MK Danny Danon are in favor of partial annexations of areas in the West Bank. I do like Danon's idea to officially repeal the Oslo Accords that Hamas spits on, but mere partial annexation? Area C is an Oslo Accord relic, not a border to carve Judea and Samaria by. The Right has to understand that half measures could fuel the fire, when the fire needs to be put out entirely. Stop piling sandbags at a time you need to wage a full counterstrike. Full annexation of Judea, Samaria and Gaza. Israel can no longer think about forcing the creation of a Palestinian State and merely going about their business within the Green Line. There may remain only three stark choices before the State of Israel. Israel could accept the status quo or a variant of it, which would entail eternal enmity with Gaza until an eventual war settles things. Israel could filter out terrorists through an even handed bureaucratic process and naturalize the rest of the West Bank and Gaza residents in a manner that does not overwhelm the economy or infrastructure or political balance within the State of Israel (i.e. the Everyone Wins peace plan). This is the best hope for peace. The best option that remains. You may say, OK, I agree in principle with everything that you have to say about the Everyone Wins peace plan, but how to legally annex the West Bank and Gaza under the current political situation after Gaza was already given away? Under International Law, Jordan and Egypt performed acts of Cession from The West Bank and Gaza, with the intent to give it to people of a non state entity within the rule of the State of Israel. Effectively, this means that the territory belongs to the State of Israel unless given by Israel through treaty to a fully fledged State. Otherwise the default Succession and ownership falls to Israel. This is because Cession can only occur with a fully fledged state and the only full state left involved, since Jordan and Egypt renounced their claims, is the State of Israel. Israel thus has the legal right to annex Judea, Samaria and the Gaza Strip in their entirety. Now what will Israel do? Perhaps they should implement the Everyone Wins peace plan as soon as possible? May it soon be so, by the grace of God. I was too emotional from the massacre in Itamar to comment before now. PM Netanyahu said everything right in his interview following the barbaric slaying of most of the Fogel family in their sleep in the town of Itamar. But speech is only one of four things that need be done by political leadership in Israel. At the physical level a manhunt for the terrorists, and a change of policy to something more in line with improved security. Turning to God is also a good idea that everyone can do. A little soul searching at a personal level to increase the spiritual security of the people is always a good thing after traumatic calamities such as these. This restores an inner sense of security that such woeful events seek to remove from the hearts of all who hear of it, in addition to the grace from Heaven that it may bring in its wake. Finally, a change of policy from one that trusts the PA to secure peace to one that entrusts the IDF to do so, is a healthier form of national security than current policy. Yes, the Prime Minister correctly labeled the Palestinian Authority as inciters of hate and violence. But the Prime Minister did not mention that his administration's current policy is to trust "our backs" to the PA and those that they incite. "Our backs" in this case, are the throats that were slit and the chests that were stabbed and the pure hearts that were stilled. "Trust" is the "Security Fence/Wall" that was not built around Itamar. "Trust" is in the continued tolerance of PA abuse of media as a tool for hate, calling for international pressure against the PA, rather than calling for Knesset legislative action against the PA. The Prime Minister's speech felt right, at the time. But there is a need for his overall policy to begin to feel more right as well. May it soon be so, by the grace of God. When forming a nation's security policy, one should not look to opinion polls as to what is the best means to defend your people. Security is founded in the establishment of safety measures that one can trust. Risking all for whim based values is not a pragmatic method to secure national defense. Consequently, values one can trust such as Biblical ethics and historical legal precedents are advisers that are more likely to lead one to healthier choices than the latest U.N. resolution generally would. If most of the United Nations member states think Israel should give up the West Bank in a land for peace deal, ignore it. If the United States Department of State considers Settlements an obstacle to peace (if they are Jewish), then do not listen to them. Would a parent select a babysitter based on her popularity at high school or only according to the parent's ability to trust the babysitter alone with the child? Thus how can any nation be expected to run its policies based on "opinion polls" such as these? Netanyahu is not Mubarak and Judea and Samaria (the West Bank) is not the Sinai peninsula. John Locke not only spoke of the right to rebel against tyranny, but of the need to do so in a moral manner. To establish law and order, not enshrine anarchy. A PA state would be a Mubarak style regime at best until Hamas took over and then it would be pure anarchy. By all means embrace the winds of change, but do not treat our democratic friend Israel like a despotic regime and attempt to declare illegitimate their rights to their God given land. As mentioned before, whether or not Israel elects to use it, Israel has the authority to annex the entire West Bank if she would choose to, under Biblical injunctions and International Law as well. The current Israeli Administration has been against that up until now. But that is the only (legal) reason why Israel has not done so. The PA has openly declared that it does not plan to match Israel's magnanimity toward her neighbors, nor her own citizens. You do not have to be familiar with International Law to understand this. We all know that if Israel would annex the West Bank she would use it to promote peace for all of its citizens of any race, and if the PA would claim it, they would exclude those whom they choose to and prepare for eventual jihad. America wrote on it's Liberty Bell, the words of God through Moses, "...And you shall proclaim liberty throughout the land for all its inhabitants..." (Leviticus 25:10) The nation of that Biblical message must uphold that message, not just for the nations of the world, but for herself as well. Liberty begins in the Holy Land. That liberty begins with a state of mind, the ability to keep what is yours so that you have something that you can share with everyone. Not give it to those who would never share it with anyone. By forsaking the Land that God gave, the power to help others would be limited. By keeping the land, the ability to help others would be strengthened. Incidentally, the nation's security depends on it. May Israel soon do what is in its best interest, and thereby do what is best for all peoples in the region, by the grace of God. If Egypt becomes an unstable "partner" in peace, following the current crisis there, the Netanyahu Administration will surely be compelled to reevaluate risk assessments that underlie the current foundations of peace making in the Middle East. The mere threat of a radicalization in Egypt, however, should serve as a reminder that, being extra cautious over forsaking strategic land for paper treaties, is at the most rudimentary level of common sense. Any two state solution is a peace plan that ultimately places peace in the hands of external forces within other countries. If all of those countries were as stable and healthy as the United States and Canada, then perhaps the path of current foreign policy would meet the test of common sense. But totalitarianism and terroristic jihad are a threat that literally threatens nearly every country in the Middle East outside of Israel's borders. That means, that to deny innocent members of the Palestinians in the territories even a remote possibility to naturalize into the State of Israel, is to subject them to political chaos in the place of realistic democratic choice and hope. Supporters of a two state solution are not doing the Palestinian people a favor. Detractors of a one state solution are assaulting the Palestinians' best avenue for realistic hope of living the democratic dream. By allowing the beneficent, best and brightest of the Palestinian people to join the ranks of their cousins within the State of Israel, the nation would be enriched, and those people saved from the fires of political chaos that roam beyond the border of the State of Israel, by the grace of God. I am dismayed at the shockingly poor advice given at the Davos summit by former President Bill Clinton to Israel. First of all, the Arab League idea is strategic suicide, a plan that I have previously described as the worst attempt at a peace plan in history, at best. Secondly, Israel does not need a security partnership with the despotic Arabic leadership about her, rather Israel needs them to keep their missiles and homicide bombers to themselves and leave Israel's border security alone. Thirdly, the best partners in peace are the innocent Palestinians who are being oppressed by the same chaotic, corrupt and criminal leadership that President Clinton is currently fawning over. Only the innocent Palestinian working class, that possess a track record of 40+ years of peacefully working side by side with Israelis to build civilization upon the Holy Land are proven to be candidates for long term peace. The best chance at true and lasting peace that Israel has is to annex the territories, filter out the terrorists, and absorb at a safe pace the good people among the Palestinians. This will also protect the Palestinian Arabs from the same petty and cruel Arabic national leaders that President Clinton is suggesting Israel form a "security" partnership with. Why the disconnect from the realities of the Middle East conflict? What happened to you Mr. President? By consenting to only partner with people one can trust one's back to, Israel would find a faster and more enduring path to peace and conflict resolution in the Middle East, by the grace of God.